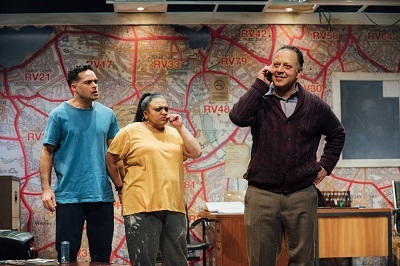 TO READ Ishy Din’s new play, ‘Approaching Empty’ as a simple indictment of Thatcherism would be to miss the subtlety and rather precise setting of this work. What relevance does Thatcherism have to us today and why is Din, one of the most acute observers of cultural shifts, writing about this now? A simple answer might be Brexit (though its gestation predates the subject). There is a line of thinking that traces the de-industrialisation of certain regions and towns right through to Brexit and impoverished communities who voted for it and continue to champion it. However, this is not an overtly political play in that sense and it is what gives it its power and bite. Alternatively, it can be viewed simply as a drama between two men whose quite different outlooks on life eventually leads them to destroying their friendship. There are other young characters who are related to these men and further illustrate the gulf between them by the end. “It’s about a business deal between friends – and those things never end well,” Din told us before we had seen the play. ‘Raf’ and ‘Mansha’ are the two lifelong friends who have grown up together in Middlesbrough, and now run a cab firm together. “These two guys had a similar story, went to school together, joined the workforce together, got made redundant together. “One of them uses his redundancy to pay off his mortgage, the other one used it to buy this cab firm but now we are in 2000s and things are not going so well and stuff happens,” he teased. The play tellingly opens with the news of Margaret Thatcher’s death in April 2013 and Mansha cursing her. “Men of that age start to reflect and think about the choices they have made,” explained Din to www.asianculturevulture.com. 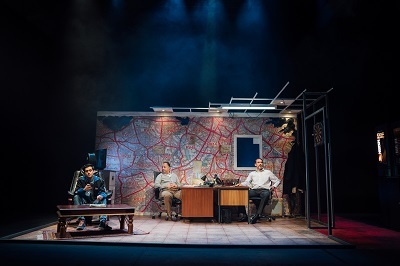 Din, who cabbied on and off during a somewhat peripatetic career in all sorts of trades before settling into writing in his mid-30s some years ago now, identifies Raf and Mansha with a particular group of Asian men who came to Britain in their early teens. The starting point is some clue of how things might turn out – both men were made redundant in that period and some 30 years later are still dealing with the consequences – in different ways. “Their raison d’être – the factories and mills closed down – and what do you do?” posed Din. The point is that what was happening to Raf and Mansha was happening up and down the country, where new local economies were being forged out of the death of traditional trades and industries. “I like to write about the familiar in an unfamiliar world,” he told acv. “I want to present something that that is familiar but from an unfamiliar world and show we brown people are not that different,” he chuckled. Of course, he is half-joking. He really takes us on a journey and Raf and Mansha are well-drawn enough for us to feel the pain of both during the course of the play and it is clear where Din’s sympathies lie. While on the surface it is about family, friendship, loyalty and betrayal, there is a lot going on underneath and there is a sense of both characters wanting to be seen as being successful and prosperous in and among their community – and how this intersects with the politics (and rhetoric) of the times – and asks perhaps, who is responsible for raising expectations and then almost cruelly dashing them? Something that may well transpire with Brexit, if it happens. And from this, if you don’t understand the popularity of Brexit in some parts of the country, you can begin to appreciate what Brexit means to some people who feel left behind and forgotten about. While this is not in the play or one of its overriding themes (in any sense), it’s a powerful reminder that there are always winners and losers in life – and mostly, we only hear (in the media) about the winners. 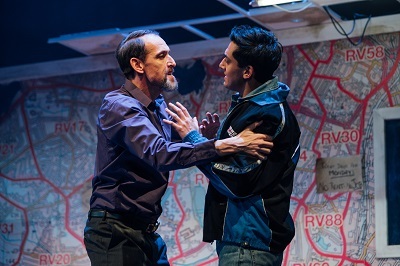 ‘Approaching Empty’ now forms part of trilogy of plays Din is still working on – the first of these, ‘Snookered’ was produced to great acclaim in 2012 and toured nationally. Set in a snooker club, it is about four young UK-born Asian men of Pakistani heritage who every year meet to mark the death of another close friend. Din has now written about the middle generation, you might call it, in ‘Approaching Empty’. He is embarking now on writing a play about some of the earliest immigrants to Britain who came with every expectation of ‘returning home’ but never did. Din developed as a playwright with Tamasha theatre company which has produced this play. He is also one of the writers on Ackley Bridge, the Channel 4 soap about a secondary school in the north of England and is also working with filmmaker Gurinder Chadha on potential film projects. 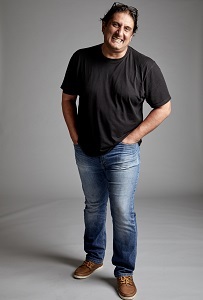 His last TV work was a short series of cab driver monologues ‘Taxi Tales’ that appeared on BBC 2 near the end of 2018.